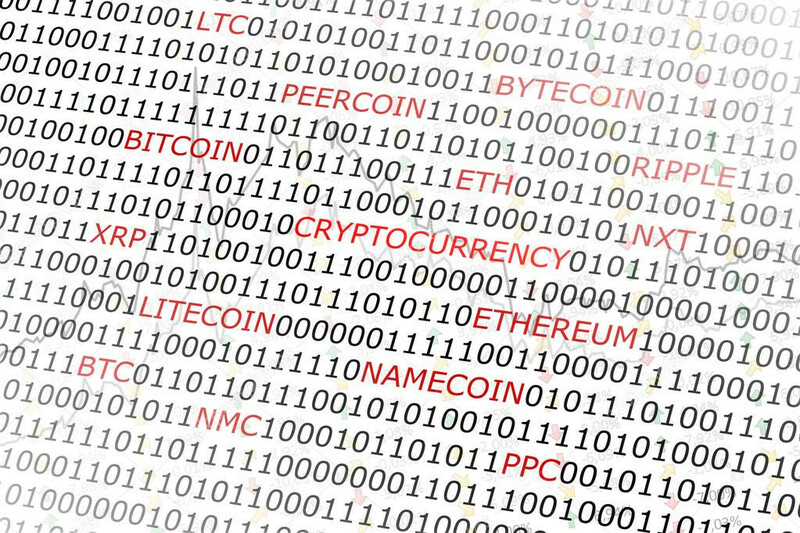 A cryptocurrency (or crypto currency) is an intangible commodity that can be used as a digital asset designed to work as a medium of exchange using cryptography to secure the transactions and to control the creation of additional units and to verify the transfer of the Intangible Commodity. Cryptocurrencies are classified as a subset of digital currencies and are also classified as a subset of alternative currencies and virtual currencies. Most cryptocurrencies are designed to gradually decrease production of currency, placing an ultimate cap on the total amount of currency that will ever be in circulation, mimicking precious metals. Compared with ordinary currencies held by financial institutions or kept as cash on hand, cryptocurrencies can be more difficult for seizure by law enforcement. This difficulty is derived from leveraging cryptographic technologies. A primary example of this new challenge for law enforcement comes from the Silk Road case, where Ulbricht's bitcoin stash "was held separately and ... encrypted." Cryptocurrencies such as bitcoin are pseudonymous, though additions such as Zerocoin have been suggested, which would allow for true anonymity. Central bank representatives have stated that the adoption of cryptocurrencies such as bitcoin pose a significant challenge to central banks' ability to influence the price of credit for the whole economy. They have also stated that as trade using cryptocurrencies becomes more popular, there is bound to be a loss of consumer confidence in fiat currencies. Gareth Murphy, a senior central banking officer has stated "widespread use [of cryptocurrency] would also make it more difficult for statistical agencies to gather data on economic activity, which are used by governments to steer the economy". He cautioned that virtual currencies pose a new challenge to central banks' control over the important functions of monetary and exchange rate policy. Jordan Kelley, founder of Robocoin, launched the first bitcoin ATM in the United States on February 20, 2014. The kiosk installed in Austin, Texas is similar to bank ATMs but has scanners to read government-issued identification such as a driver's license or a passport to confirm users' identities. By September 2017 1574 bitcoin ATMs were installed around the world with an average fee of 9.05%. An average of 3 bitcoin ATMs were being installed per day in September 2017. In February 2014, cryptocurrency made national headlines due to the world's largest bitcoin exchange, Mt. Gox, declaring bankruptcy. The company stated that it had lost nearly $473 million of their customer's bitcoins likely due to theft. This was equivalent to approximately 750,000 bitcoins, or about 7% of all the bitcoins in existence. Due to this crisis, among other news, the price of a bitcoin fell from a high of about $1,160 in December to under $400 in February. On December 1, 2015, the owner of the now-defunct GAW Miners website was accused of securities fraud following his development of the cryptocurrency known as Paycoin. He is accused of masterminding an elaborate ponzi scheme under the guise of "cloud mining" with mining equipment hosted in a data center. He purported the cloud miners known as "hashlets" to be mining cryptocurrency within the Zenportal "cloud" when in fact there were no miners actively mining cryptocurrency. Zenportal had over 10,000 users that had purchased hashlets for a total of over 19 million U.S. dollars. On August 24, 2016, a federal judge in Florida certified a class action lawsuit against defunct cryptocurrency exchange Cryptsy and Cryptsy's owner. He is accused of misappropriating millions of dollars of user deposits, destroying evidence, and is believed to have fled to China. An Initial Coin Offering (ICO) is an unregulated means by which funds are raised for a new cryptocurrency venture. An ICO is used by startups to bypass rigorous and regulated capital-raising processes required by venture capitalists or banks. In an ICO campaign, a percentage of the cryptocurrency is sold to early backers of the project in exchange for legal tender or other cryptocurrencies, often Bitcoin or Ethereum. Modifications of the proof-of-work algorithm have been created to address the problem of scaling, such as the way the IOTA ledger works. IOTA uses a simplified Proof-of-work algorithm making use of directed acyclic graph. A new transaction becomes part of the ledger after its sender does a small amount of proof-of-work. Each network participant is therefore also a miner. This system scales automatically as it gets used more. As of September 2017, there were over 1100[better source needed] digital currencies in existence. The cryptocurrency index CRIX is a conceptual measurement jointly developed by statisticians at Humboldt University of Berlin, Singapore Management University and the enterprise CoinGecko and was launched in 2016. The index represents cryptocurrency market characteristics dating back until July 31, 2014. Its algorithm takes into account that the cryptocurrency market is frequently changing, with the continuous creation of new cryptocurrencies and infrequent trading of some of the existing ones. Therefore, the number of index members is adjusted quarterly according to their relevance on the cryptocurrency market as a whole. It is the first dynamic index reflecting changes on the cryptocurrency market. Cryptocurrencies have been compared to pyramid schemes and economic bubbles, such as housing market bubbles. Howard Marks of Oaktree Capital Management stated in 2017 that digital currencies were "nothing but an unfounded fad (or perhaps even a pyramid scheme), based on a willingness to ascribe value to something that has little or none beyond what people will pay for it", and compared them to the tulip mania (1637), South Sea Bubble (1720), and dot-com bubble (1999). Community refers to premining, hidden launches, or extreme rewards for the altcoin founders as a deceptive practice, but it can also be used as an inherent part of a digital cryptocurrency's design, as in the case of Ripple. Pre-mining means currency is generated by the currency's founders prior to mining code being released to the public. Many banks do not offer services for cryptocurrencies and can refuse to offer services to virtual-currency companies. Cryptocurrency can be permanently lost from local storage due to malware or data loss. This can also happen through the destruction of the physical media, effectively removing lost cryptocurrencies forever from their markets. There are many perceived criteria that cryptocurrencies must reach before they can become mainstream. For example, the number of merchants accepting cryptocurrencies is low, but increasing. With technological advancement in cryptocurrencies such as bitcoin, the cost of entry for miners requiring specialized hardware and software is high. Cryptocurrency transactions are normally irreversible after a number of blocks confirm the transaction. One of the features cryptocurrency lacks in comparison to credit cards is consumer protection against fraud, such as chargebacks. While cryptocurrencies are digital currencies that are managed through advanced encryption techniques, many governments have taken a cautious approach toward them, fearing their lack of central control and the effects they could have on financial security. An enormous amount of energy goes into Proof of Work cryptocurrency mining, but it is important to compare it to the consumption of the legacy financial system. Some cryptocurrencies such as Ripple require no mining, and many others use Proof of Stake algorithms, which require far less energy. Traditional financial products have strong consumer protections. However, if bitcoins are lost or stolen, there is no intermediary with the power to limit consumer losses. Regulators in several countries have warned against their use and some have taken concrete regulatory measures to dissuade users. The success of some cryptocurrencies has caused multi-level marketing schemes to arise with pseudo cryptocurrencies, such as OneCoin. In October 2017, BlackRock CEO Larry Fink called bitcoin an 'index of money laundering'. "Bitcoin just shows you how much demand for money laundering there is in the world," the head of the largest asset management firm in the world said Friday. Jump up^ Williams, Mark T. "Testimony of Mark T. Williams at the January 28-29, 2014 Hearing Regarding Virtual Currencies" (PDF). New York. Jump up^ "Bitcoin is a commodity, not a currency, Allianz's Mohamed El-Erian says". CNBC. 2017. Jump up^ "'Irish bitcoin' highlights the issues facing crypto-currencies". 2014. ^ Jump up to:a b c Andy Greenberg (20 April 2011). "Crypto Currency". Forbes.com. Retrieved 8 August 2014. Jump up^ Cryptocurrencies: A Brief Thematic Review. Social Science Research Network. Date accessed 28 august 2017. Jump up^ Schuettel, Patrick (2017). The Concise Fintech Compendium. Fribourg: School of Management Fribourg/Switzerland. Jump up^ Tasca, Paolo (7 September 2015). "Digital Currencies: Principles, Trends, Opportunities, and Risks". SSRN 2657598  . Jump up^ "Altcoin". Investopedia. Retrieved 8 January 2015. Jump up^ Wilmoth, Josiah. "What is an Altcoin?". cryptocoinsnews.com. Retrieved 4 March 2015. Jump up^ Handbook of digital currency : bitcoin, innovation, financial instruments, and big data. Lee Kuo Chuen, David,. Amsterdam. ISBN 9780128021170. OCLC 908550531. Jump up^ McDonnell, Patrick "PK" (9 September 2015). "What Is The Difference Between Bitcoin, Forex, and Gold". NewsBTC. Retrieved 15 September 2015. Jump up^ Allison, Ian (8 September 2015). "If Banks Want Benefits Of Blockchains, They Must Go Permissionless". NewsBTC. Retrieved 15 September 2015. Jump up^ Matteo D’Agnolo. "All you need to know about Bitcoin". timesofindia-economictimes. Jump up^ Economist Staff (31 October 2015). "Blockchains: The great chain of being sure about things". The Economist. Retrieved 18 June 2016. ^ Jump up to:a b c Jerry Brito and Andrea Castillo (2013). "Bitcoin: A Primer for Policymakers" (PDF). Mercatus Center. George Mason University. Retrieved 22 October 2013. Jump up^ Matthew Green (26 May 2013). "Zerocoin: Anonymous Distributed E-Cash from Bitcoin" (pdf). Johns Hopkins University. Jump up^ Wei Dai (1998). "B-Money". Jump up^ Popov, Serguei (2016). "The Tangle Whitepaper" (PDF). Jump up^ Sønstebø, David (2016). "IOTA First Chapter Synopsis". Jump up^ "Are Any Altcoins Currently Useful? No, Says Monero Developer Riccardo Spagni". Bitcoin Magazines. Retrieved 31 May 2016. Jump up^ "UK launches initiative to explore potential of virtual currencies". The UK News. Retrieved 8 August 2014. Jump up^ "Central Banks Face 3 New Dilemmas in the Era of Bitcoin and Digital Currencies". Bitcoin Magazine. Retrieved 31 May 2016. Jump up^ "How Bitcoin Compares to Fiat Currency’s House of Cards". Bitcoin Magazine. Retrieved 31 May 2016. Jump up^ "Check the current price of trading coin". Archived from the original on 2014-07-29. Jump up^ "The Big Picture Behind the News of China's Bitcoin Bans – Bitcoin Magazine". Bitcoin Magazine. Retrieved 24 February 2015. Jump up^ Iwamura, Mitsuru; Kitamura, Yukinobu; Matsumoto, Tsutomu (February 28, 2014). "Is Bitcoin the Only Cryptocurrency in the Town? Economics of Cryptocurrency And Friedrich A. Hayek". SSRN 2405790  . Jump up^ "Banshee bitcoins: $5 million worth of bitcoin vanish in China". Russia Today. Retrieved 6 March 2015. Jump up^ "When bitcoins go bad: 4 stories of fraud, hacking, and digital currencies.". Washington Post. Retrieved 6 March 2015. Jump up^ Perez, Evan. "CNN Justice Reporter". CNN. Retrieved 31 March 2015. Jump up^ Farivar, Cyrus. "Pissed-off customers sue GAW Miners in proposed class-action suit". Ars Technica. Retrieved 6 June 2016. Jump up^ Julian, Borax (27 July 2016). "Best Forex Brokers That Offer Bitcoin (BTC/USD) Trading". FXdailyReport.Com. Retrieved 28 October 2016. Jump up^ "Liu v. Project Investors, Inc. et al (9:16-cv-80060), Florida Southern District Court". ^ Jump up to:a b Raeesi, Reza (2015-04-23). "The Silk Road, Bitcoins and the Global Prohibition Regime on the International Trade in Illicit Drugs: Can this Storm Be Weathered?". Glendon Journal of International Studies / Revue d'études internationales de Glendon. 8 (1–2). ISSN 2291-3920. Jump up^ "CryptoCoinTalk.com - Discussing the World of Cryptocurrencies". CryptoCoinTalk. Retrieved 24 February 2015. ^ Jump up to:a b AltcoinTrading (2017-09-20). "How to secure IOTA wallet". Altcoin Trading. Retrieved 2017-10-08. Jump up^ "How does IOTA confirmation work?". IOTA Forum. Retrieved 2017-10-08. Jump up^ "IOTA Support - what is IOTA?". iotasupport.com. Retrieved 2017-10-08. Jump up^ Sunny King, Scott Nadal (19 August 2012). "PPCoin: Peer-to-Peer Crypto-Currency with Proof-of-Stake" (PDF). Retrieved 12 May 2013. Jump up^ "coinmarketcap.com". Retrieved 27 September 2017. Jump up^ "CRIX—CRypto IndeX". crix.hu-berlin.de. Retrieved 2016-08-12. ^ Jump up to:a b Simon Trimborn; Wolfgang Karl Härdle. "CRIX or evaluating blockchain based currencies", ISSN 1860-5664, SFB 649 Discussion Paper 2016-021". SSRN 2800928  . Jump up^ "CRIX Discussion Paper" (PDF). crix.hu-berlin.de. June 15, 2016. Jump up^ Ladislav Kristoufek (2 June 2014). "What are the main drivers of the Bitcoin price? Evidence from wavelet coherence analysis". 1406: 1 Section 1 Introduction, "(the) success has ignited an exposition of new alternative crypto–currencies. Bibcode:2014arXiv1406.0268K. arXiv:1406.0268  . Jump up^ "Crypto-Currency Market Capitalizations". Jump up^ "CCI30 Index". cci30.com. October 16, 2017. Jump up^ "Introducing Ledger, the First Bitcoin-Only Academic Journal". Motherboard. Jump up^ "Bitcoin Peer-Reviewed Academic Journal ‘Ledger’ Launches". CoinDesk. Jump up^ "Editorial Policies". ledgerjournal.org. Jump up^ "How to Write and Format an Article for Ledger" (PDF). Ledger. 2015. doi:10.5195/LEDGER.2015.1 (inactive 2017-10-18). Jump up^ "Scamcoins". August 2013. Jump up^ Bradbury, Danny (25 June 2013). "Bitcoin's successors: from Litecoin to Freicoin and onwards". The Guardian. Guardian News and Media Limited. Retrieved 11 January 2014. Jump up^ Morris, David Z (24 December 2013). "Beyond bitcoin: Inside the cryptocurrency ecosystem". CNNMoney, a service of CNN, Fortune & Money. Cable News Network. Retrieved 11 January 2014. Jump up^ Sidel, Robin (22 December 2013). "Banks Mostly Avoid Providing Bitcoin Services. Lenders Don't Share Investors' Enthusiasm for the Virtual-Currency Craze". Online.wsj.com. Retrieved 29 December 2013. Jump up^ Schwartzkopff, Frances (17 December 2013). "Bitcoins Spark Regulatory Crackdown as Denmark Drafts Rules". Bloomberg. Retrieved 29 December 2013. Jump up^ "Ponzi-like OneCoin trading scheme swindles many in Vietnam". Tuoi Tre News. 11 July 2016. Retrieved 10 November 2016. Jump up^ "Jamie Dimon calls bitcoin a 'fraud'". CNNMoney.